Each one is not only ethical – made or upcycled in the UK using recycled resources and donated fabrics wherever possible – but beautiful and useful too, designed to help you and your loved ones make a difference in society, in your community and in your own life. Plus all profits go to support our change making work around the world – what’s not to love? 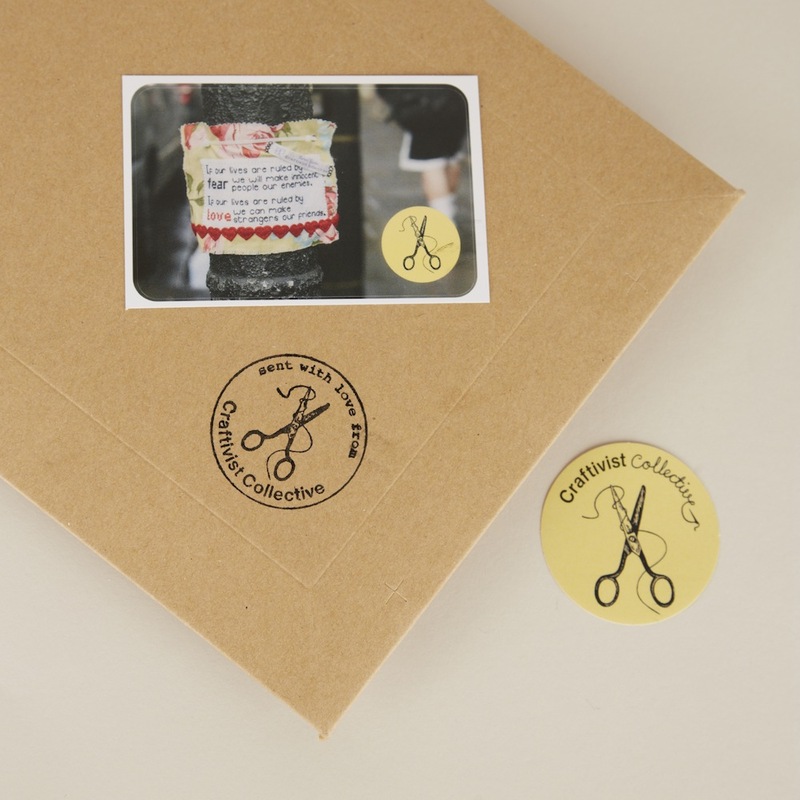 Make a difference: This gentle, thoughtful blend of craft and activism is a great way to get people’s attention, challenge their thinking and encourage them to be a part of the solution to improve our world. Get a wellbeing boost: Not only is contributing to society an integral part of our the World Health Organisation’s definition of wellbeing, crafting in and of itself is a great way to slow down, reflect and recharge. Fill the gap between Christmas and New Year: It doesn’t have to be a blur of left over chocolates and comedy re-runs if you’ve got a new kit to stitch or an inspiring book on craftivism to read, and what better way to reflect on 2015 and prepare to be your best self in 2016? 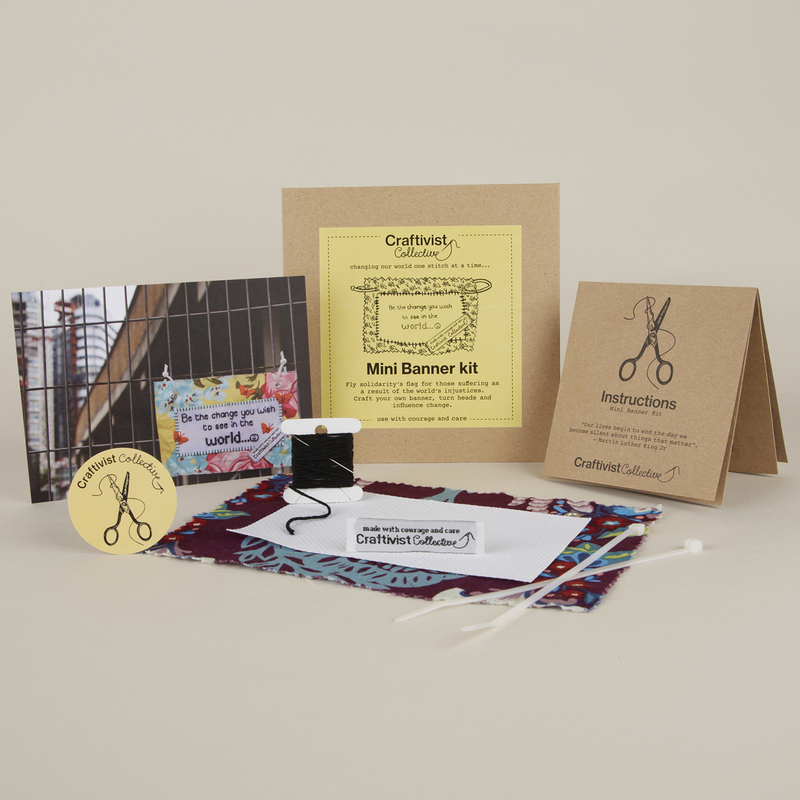 Slow down and reflect on how people like Malala Yousafzai and Eleanor Roosevelt have made a difference as you stitch one of these thought-provoking kits and consider how you can be the change you want to see in the world. Handmade using traditional letterpress printing on recycled card, each one is just slightly different and therefore unique. As you stitch a thought, quote or lyric onto this canvas footprint, think about the impact you’re having in and on the world, and be encouraged to make online pharmacy best small (and big!) changes to become the best global citizen you can be. Blogger and women’s rights activist Malala Yousafzai has made one, so why not join her? Want to make a point in a gentle, beautiful way? Forget angry placard waving – stitch a quote onto this mini banner instead (reflecting on what it means as you do) then hang it somewhere in your neighbourhood where it can surprise and challenge passers by. Even Russell Brand and his mum are fans! 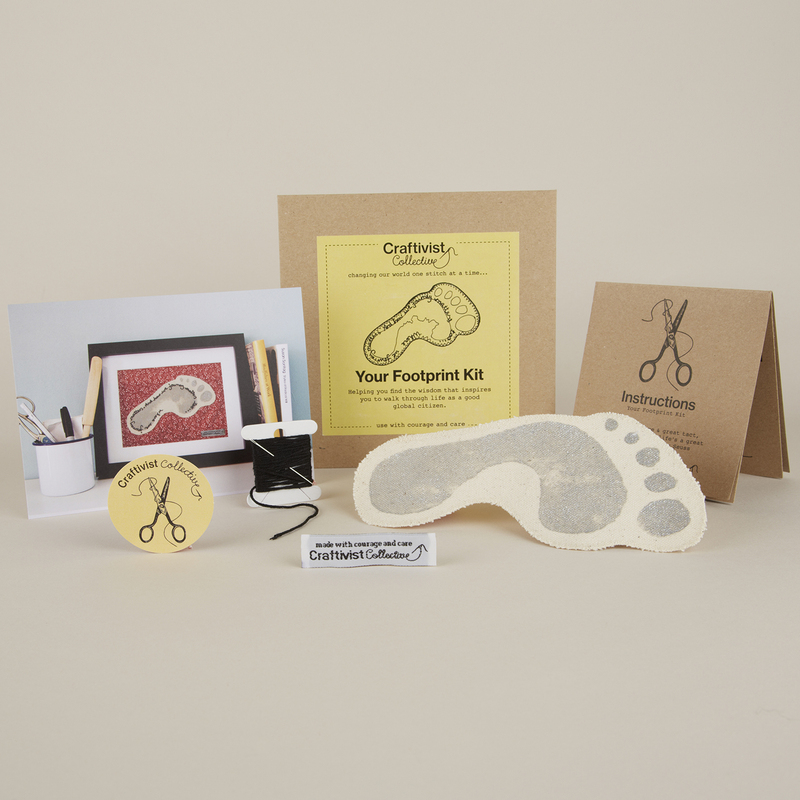 Getting under the nose of an influential member of society – whether that’s an MP, religious leader, journalist or the head of a powerful business – couldn’t be easier with this craftivism kt. 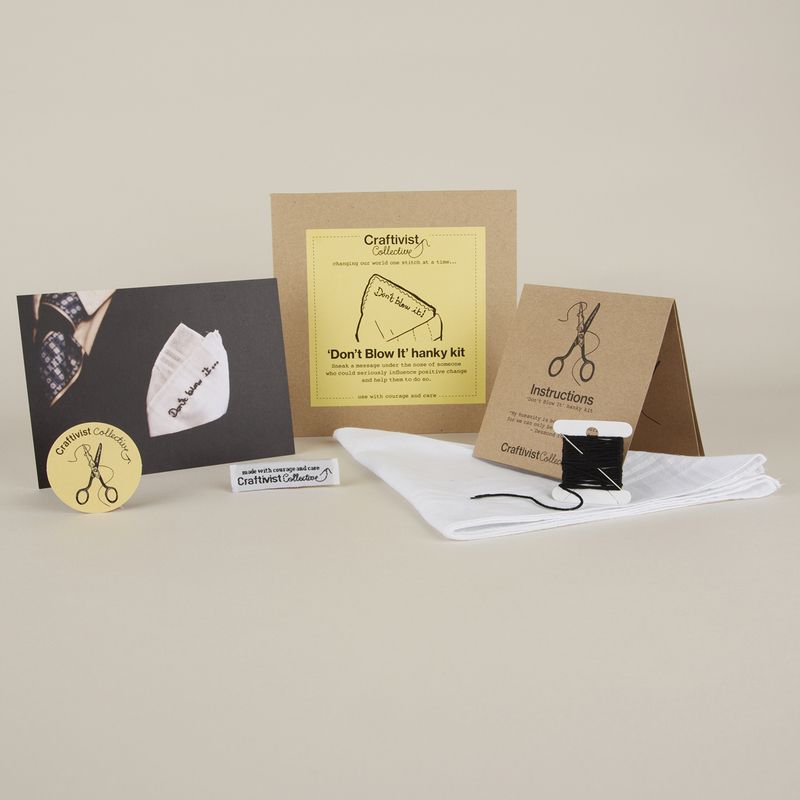 Simply stitch a personal message to them on this hanky, challenging and encouraging them to use their power to make a positive difference. Want to know more about this gentle, thoughtful form of activism, and how you can use it to make a difference in the world? 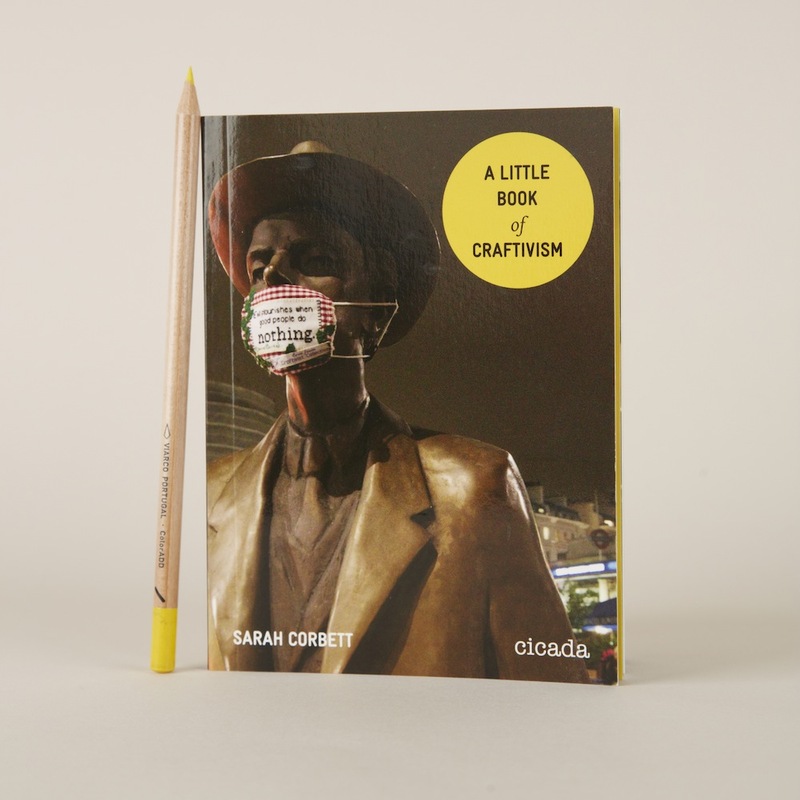 The Craftivist Collective’s book contains everything you need to know, including hints and tips for beginners from founder Sarah Corbett, and examples of simple projects to get you started. 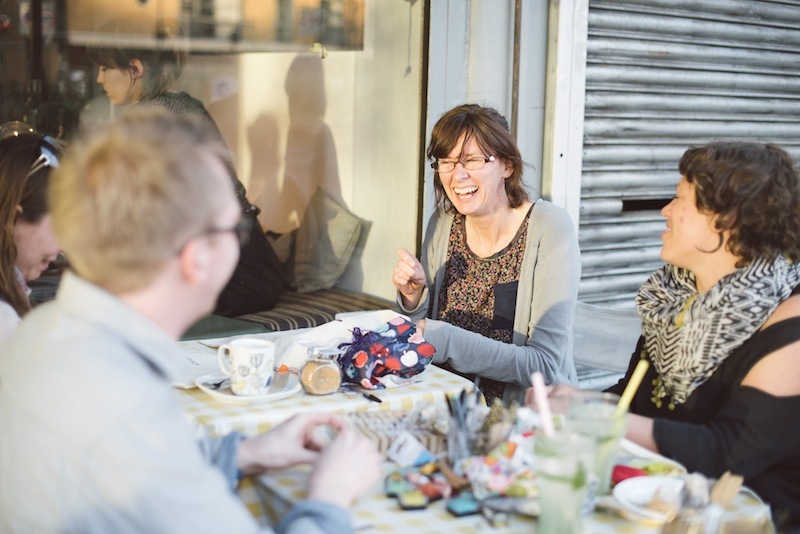 Love the Craftivist Collective? Let the world know! 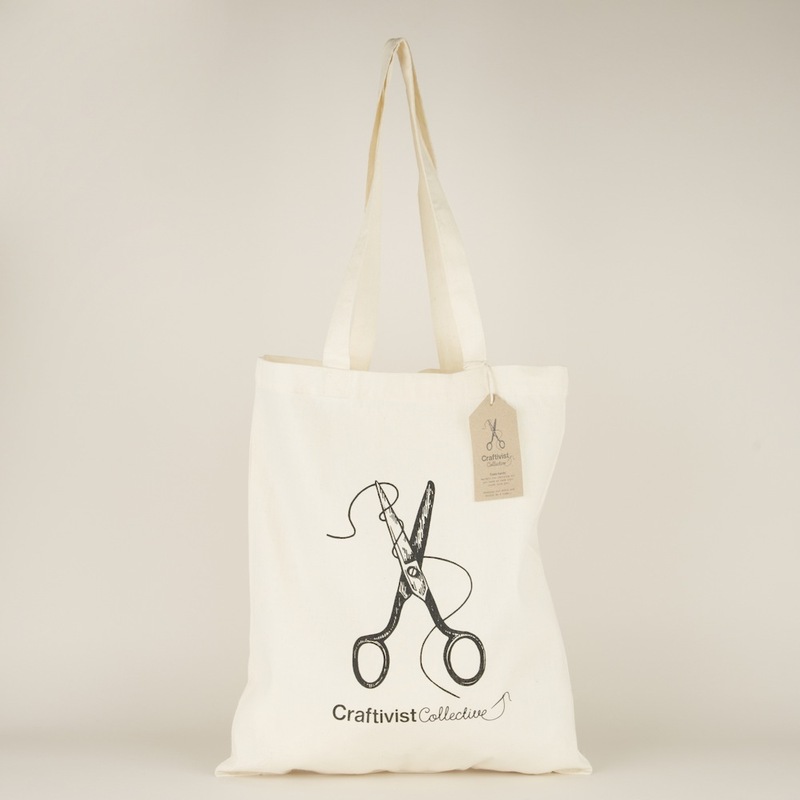 This cotton tote is practical and beautiful, and can be customised by clever crafters to reflect their personality and style, or add an encouraging quote to make people stop and think. 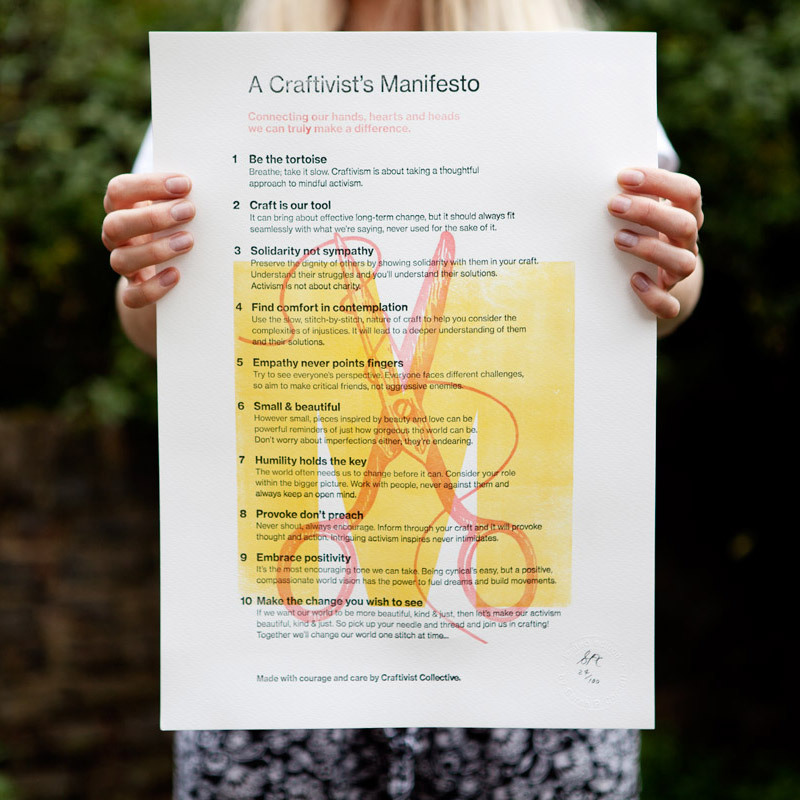 If you want to be an effective craftivist, make sure to hang one of these limited edition manifestos somewhere it will challenge you on a daily basis. Each one is handprinted in the UK using the traditional letterpress system and is individually signed and numbered by our founder Sarah Corbett. What to buy us a Christmas present? 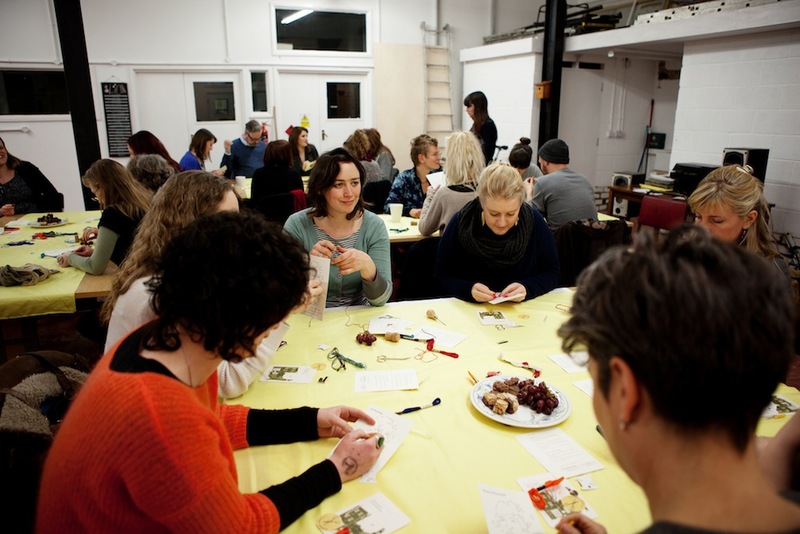 If you’ve been touched or inspired by the work we do; maybe attended a really useful workshop, received advice from us or enjoyed using one of our products, we’d ask you to consider making a modest donation. With your support, we’ll continue to strive to make a difference.